1. Choose an Identity (when commenting, choose the Name/ URL option). Your identity can be from a book or it can be someone that you create on the spot. If I know who you are in real life, I will try to guess your identity (probably by January 2nd or so). Then I will hold an Unmasking for those I have not successfully guessed. To get a better feel for what I am describing, you can view my masquerades of years past. Tonight's event is held at the Gatsby residence. The entryway is lit with eerie blue light. It opens onto a cavernous ballroom. Hourglasses as tall as a person are scattered throughout. The hourglasses contain flakes of a substance that at times looks like sand and other times looks like snow. They glitter in the eerie light and fall slowly, slowly to the other side. "Divenire" by Ludovico Einaudi plays through the sound system. Small tables that appear to be made of ice crystal are arranged throughout the room. The base of the table resembles a tree trunk while the table itself is a tree that contains various levels upon which food is set. The tables are laden with delicious miniature foods. 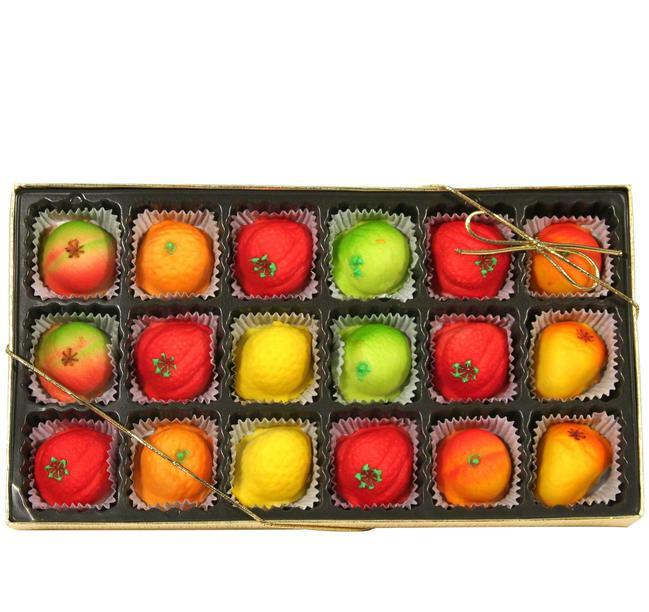 There is marzipan in the shape of tiny fruits, sugared crescent cookies, tiny violins made out of chocolate and fruit and nut platters skillfully carved in the shape of peacocks. Tiny vials of colored drinks are also in evidence. A ballet troupe has been hired. The females in each dancing couple are dressed as Daisy, beaded white floating flapper dresses skimming their knees, silver tiaras upon their heads. Their partners are the rakish Gatsbys, dressed impeccably in suits with black bowties. It becomes apparent upon closer inspection that each Daisy and Gatsby couple is slightly different. Their dancing shifts. Some partners depict their young love and dance joyfully while others form a mournful tableau that speaks of all that love can cost. The song shifts. We are now listening to "Allegiance to Insurgency" by Pitch Hammer. The lights turn red, but they are still muted. Shadows hide in every corner. The ballet dancers, who had skilfully slipped from the room moments before, return in the guise of the courtesan from "Moulin Rouge" and her poet. Their dance is a battle- thrust into their poet's embrace, then pulled apart from him once more. Each time she leaves him, the courtesan-ballerina picks up another piece of flexible armor (gauntlets, breastplate) so that by the end of the dance, she is both fully clothed and stands alone. Throughout the evening, the lights flicker, the ballet troupe reappears and their dances change. We witness the Jedi knight with his Sith lover, proud Catherine spurning Heathcliff, young David seeking his sick mother, terrifying Abel and sweet Anna and Denna and Kvothe. The last dance is different. A mist rises up from the floor during which time large mice wearing suits, apparently from the set of "The Nutcracker," remove the ice tables and hourglasses. Trapdoors open and a field of golden sunflowers appears, pushed upward through the doors. Two children, a boy and a girl, appear to run through the field, laughing and smiling. Golden light mimicking the sun shines down upon them. It looks something like this. They play together. This is the music that accompanies them. At the conclusion of this set, your hostess arrives. She is wearing a dress with a light blue bodice and lacy cap sleeves. The dress has a sweetheart neckline. Her hair is long and flows loose, spinning around her as she dances. The skirt of her dress is a tutu that spills around her in a motley of colors, red, blue, yellow, green, orange, pink and purple. She wears scuffed brown combat boots that reach slightly above her ankles. A fiddler appears on the scene. He begins to play "Fairytale" by Alexander Rybak. Your hostess doesn't appear to be taking the lyrics seriously; she's just dancing because it's upbeat and joyful. Her skirts swirl around her as she kicks up her legs and laughs. The rest of the guests join in and the room is filled with unbridled giddy life-filled joy. Welcome to my masquerade, one and all. I find it hard to shop for books for you, my dear, for our tastes do not always coincide. Nevertheless, I thought to myself, who could resist my most recent endeavour, anonymously published, of course--the first collection of Recipes suited to a Hebrew kitchen? Not that you need any of my advice; you are the very embodiment of Grace. Or if my cuisine does not suit, then perhaps my account of a most remarkable Journey? I'm sure you would agree; sometimes the most magnificent stories are the ones that play out right here on this Earth. Silly me; I forgot to wish you a Very Happy Birthday! To a long, happy, healthy life, my dear! I wish you many opportunities to influence those around you and spread your goodwill. I also hope you get to try chorisa (see my cookbook)--I can't seem to find it anywhere these days! With heavy makeup, curly hair and a wicked smile painted on my face, I enter the room like a snake, slithering my way toward you. I have come to wreak havoc, to force you to make a choice. You see, my gift is a time machine that only goes one way. You can use it to go back to the past, or forward to the future. It only works once. And if you don't make the choice right now, the machine will explode in thirty seconds and all the cute mice at the party will be no more. I arrive to your birthday masquerade dressed as a queen in a long flowing gown of purple crushed velvet so rich it looks black in the flickering candlelight, wishing I wore it better. The ermine cape attached to my shoulders is lined with ruby silk and cuts a striking figure against the dark dress. My back is straight, my chin is high, my tiara glitters, and soon I forget my discomfort and revel in the beauty and glory of the beautiful things around me. I see you and make my way over to bestow upon you my gift: The ability to make others see the world through whatever lens you do at that moment. If you are feeling happy and that the world is beautiful, so will others. If you are feeling the world is a place of only shades of grey, those around you will see this too. Be careful in wielding your gift--though it seems innocuous, it is powerful. Much like the errant wish of a plain young girl to one day be a queen. I slink away to stand in the shadows and watch you spin gleefully to the music in a cloud of taffeta to rival any prom dress. From the deserts of the east, I come hooded, draped in flowing garb with fighting gear underneath. Hidden by my side, next to the rapier I favor, is your gift- a mirror that changes to whatever scene you dream of, beauty or darkness. I hope that it will bring you more beautiful sights and visions of happiness, despite the potential to visualize darkness as well. But in dark there can be hope, which is a priceless object. I bow to you as I hand over my gift, and you get a glimpse of my reddish hair, but then I rehood, and retreat to the shadows to watch and wonder and gaze upon the venue which you have provided. Happy birthday dear Chana. May this year bring you nothing but joy, happiness, hope and dreams of wonder and love. Wildly hoping it will suffice, I grab an armful of something as I dash out to the party. I put on my makeup in fits and starts at red lights (since when do white palfreys have to stop at traffic signals? ), and try to drape my cloak more becomingly during the straight stretches on the road. As the venue comes into view, I grimace prayerfully and upend the jar over my head. I have no mirror, but the looks I get and don't get as I enter let me know it worked. I call the essence of my costume "fairy dust" the same way I let my son call dust motes "stars": it's not an accurate description, but it saves a lot of uncomfortable explanation. It neither conceals nor accentuates, while madly doing both. One of the essences of me, I suppose, and of you, too, come to think of it. I bring you the "fairy dust" in perfume form, and do my own happy little jigs as I please. I am (dressed as) a cloaked traveler, leaning heavily on my walking stick. My happy smile clashes with a prematurely lined face as I present you with a modest but useful gift: three days in any place of your choosing, real or fantasy. Simply concentrate on the location, whisper its name, and you shall be instantly transported there along with whomever you choose. I wish you a very happy birthday to be shared with all your loved ones and friends. I survey your dancing guests and, smiling slightly, return to my solitary journey as the clock strikes midnight. Taking a break away from the journals and books with which I am constantly surrounded--A break from the puzzles. I make an unexpected appearance. Dressed for the occasion in a bow-tie with suspenders, I arrive--perhaps as someone of a surprise. The mystery guest had been there awhile, standing in the back watching the proceedings. One might not have noticed anything unusual about this individual. Wearing formal attire with a flowing black cape with a lining the color of red wine, nothing stood out about this person, except for their mask. The mask was one that everyone knew by sight. It was worn only by those who worked for and represented the organization. None others dared to wear it. It was a simple mask, white and unadorned except for a single teardrop under the left eye. Everyone knew what it represented and what it meant. The guest looked at a timepiece and saw that it was time. Leaving the shadows, the mystery guest approached the lady, who was the reason for the ball. The organization sends its regards and has instructed me to give you a gift. The gift I present is magical in nature. It has the ability to allow the user to relive moments in time. It also allows the user to capture the essence of moments. I reach into my cape and pull forth the object. Happy Birthday Olivia I say and then I retreat back into the shadows to continue my vigil. Sightless, yet sighted, I am attired head to toe in a suit of the reddest red imaginable, or so I hope. My shirt, shoes, and tie match - I am a crimson dynamo. Clouded eyes hidden behind scarlet lenses, I survey the festivities. My cane, a brilliant pearlescent white, lightly taps the ground as I prowl throught the crowd of guests. I am a demon born and still residing in a hell all too real. My gift is my business card. If you need a devil, you know whom to call. My blood-stained duties delayed me but now I am here. I live in the night, feathers flying, wide-eyed wisdom. You cannot see my colors from previous years in this darkness. I bring you a gift of good judgement.